The Indian rupee continued to lose its value on Wednesday, falling to a record low of 71.79 against the US dollar. 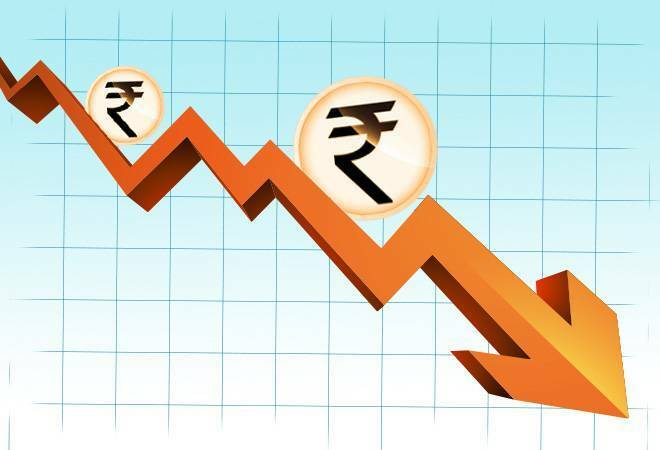 The Indian rupee continued to lose its value on Wednesday, paring initial gains to drop to a fresh all-time low of 71.79 against the US dollar. Today's fall was due to sudden bouts of dollar-buying by banks and importers. This was the sixth consecutive sessions when the rupee fell. Earlier, the rupee resumed higher at 71.43 against yesterday's closing level of 71.58 a dollar at the interbank foreign exchange market. The Indian unit was trading on a volatile note, moving in a wide range quoting between 71.40 and 71.79 during morning deals. "Rupee's speculative demand is causing volatility amid crisis in the emerging market currencies and consistent rise in the crude oil prices," a dealer said. The dollar strengthened against a basket of currencies overseas as the US economy continued to exhibit strength amid a lingering threat of escalation in the US-China trade conflict, leading to a fall in the domestic unit. Meanwhile, the 30-share BSE Sensex is modestly lower by 29.83 points or 0.08 per cent at 38,128.09 at 1100 hrs. "Rupee has depreciated primarily on trade war fears and rise in global crude oil prices. The government does not have control over these...so there is only so much we can do," a top finance ministry official told PTI. Foreign investors and funds have pulled out $280 million from the Indian equity markets so far this year.